A truly comprehensive, teacher- and parent-friendly guide to creating clear and effective IEPs With the skyrocketing diagnoses of ADHD, autism spectrum disorders, and related conditions in U.S. schools, there is a growing need for information on creating effective IEPs for exceptional students. 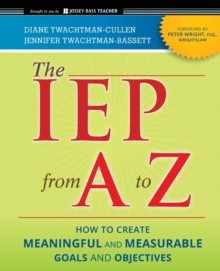 The IEP From A to Z is a step-by-step guide showing teachers and parents how to get the right education plan in place for students with ADHD, Autism/Asperger's, Emotional/Behavioral Disturbance, and related conditions. 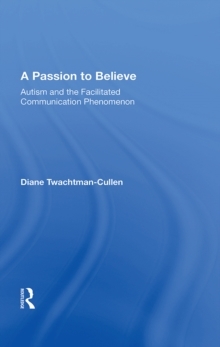 * Provides easy-to-understand explanations of the special education process along with a wealth of sample effective IEPs * Explains what is most important for educators and parents to keep in mind during IEP development * Provides content area-specific sample goal and objective templates, general teaching tips for maintaining the IEP, and useful resources From nationally recognized experts in the special education field, this book guides readers through the process of writing thoughtful, intelligent Individualized Education Plans that deliver high-quality, need-based educational programming to exceptional students.